How to make Mint Julep. Now that the weather has 'hopefully' sorted itself out and is actually feeling like summer may be here at last it's a great excuse to make refreshing long drinks or tall cocktails. But with that said, personally I don't actually like cocktails! But for some reason I fancied making Mint Julep which is a mix of fresh mint, crushed ice and Bourbon. Anyway I have a friend that likes a Mint Julep or two so I had a go at making it; actually it was an excuse to show of these rather nice Crystalline Tall Bubble Glasses from Judge Cookware. 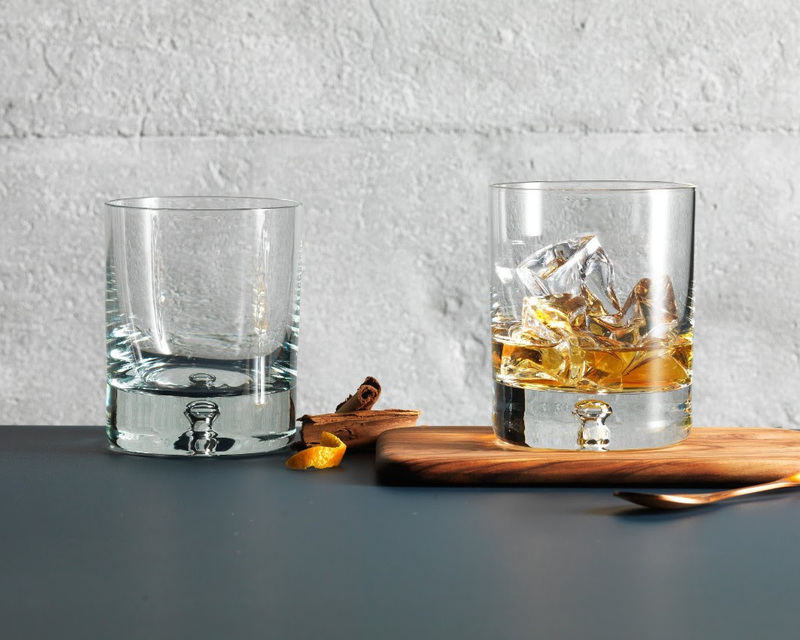 Crystalline glass has wonderful clarity and strength making them dishwasher safe. They have a nice weight to them and I love the floating bubble in the bottom of each glass. Sold in sets of 4’s - there's also a 250ml Tumbler in the same range which looks equally stylish. A proper Mint Julep involves sugar syrup but I haven't got time to mess about making it for just this one drink. However if you want to be all proper all you do is dissolve 200g of sugar into 100 ml of water over a low heat and allow to cool before using. I reckon you'd need about 15 ml of syrup per glass of Mint Julep. Otherwise just do as I did and powdered regular granulated sugar with a Pestle and Mortar; job done. 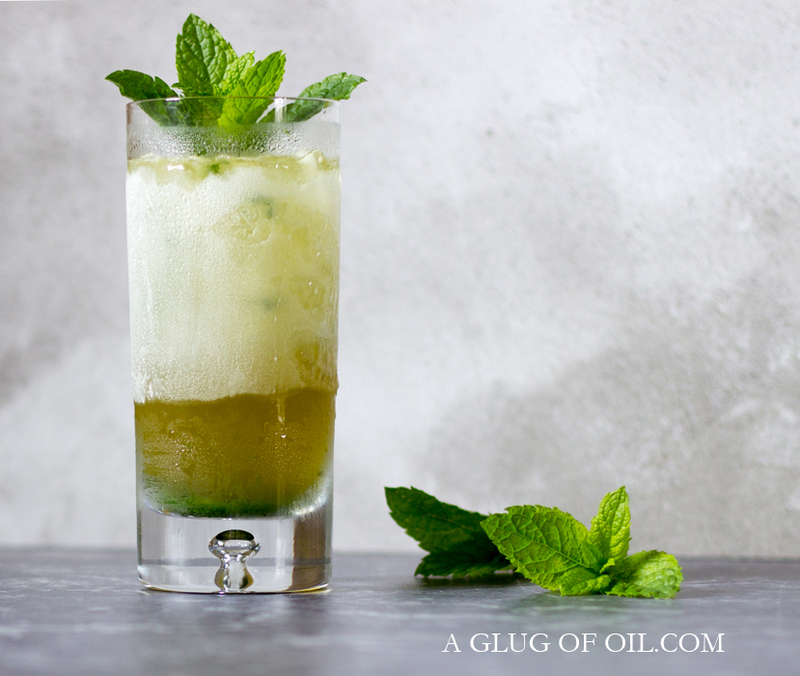 Get a tall glass and add the bashed up mint leaves and powdered sugar or syrup. Crush the ice cubes between a folded nice clean tea towel by bashing with a suitably bashable item such as a rolling pin or meat mallet. You could use a blender with the ice crusher blade attached but they tend to be a bit overkill and you end up with slush. Add the crushed ice to the glass and stir. As you stir the glass will frost over which apparently is the proper 'look' of a good Mint Julep. Serve straight away with a sprig of mint. The Stem Collection of wine glasses (which I don't have) look really good and there's also Stemless Wine Glasses available in 400ml and 540ml which I really need to invest in. To find out more pop over to Judge Cookware. The whole range is available to buy over at Harts of Stur. Disclosure: I was sent these glasses for the purpose of this review. All thoughts and opinions are my own. I was not required to write anything positive.